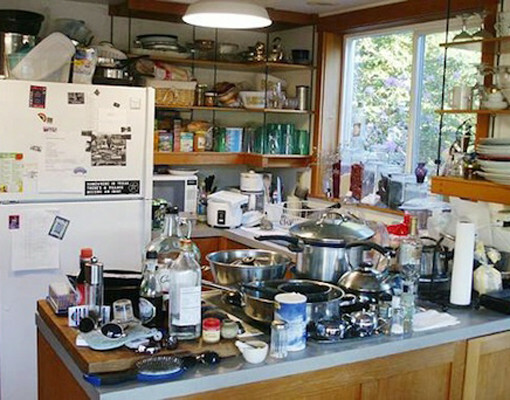 According to a University of Michigan study, most of us prepare at least eight meals each week in the kitchen — way more than any previous generation of guys. So if we’re going to slave away at the stove in our aprons, we should upgrade our kitchen gear and gadetry, right? 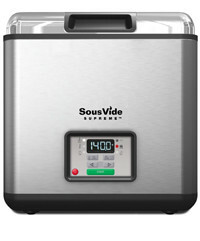 If you’re looking for something that can A) make the food you prepare look and taste better and B) require next to no effort in doing so, the SousVide water oven belongs in your kitchen. Using the “set it and forget it” method, you only have to follow a few simple instructions before you can go on with your day while it does its thing. The result: juicier chicken and ribs, and tastier veggies. Construction is super easy. We put one together in less than three minutes — and we’re total clods in the kitchen. The stainless steel design also looks cool on your counter but doesn’t dominate space like some convection ovens. No more rings of measuring cups thanks to this sleek cube, which pours everything from each of its corners, and features all the important measurement amounts right on the sides. A built-in hybrid TSP/TBSP makes it even hipper to be a square. Sorry for that joke. Really, we are.